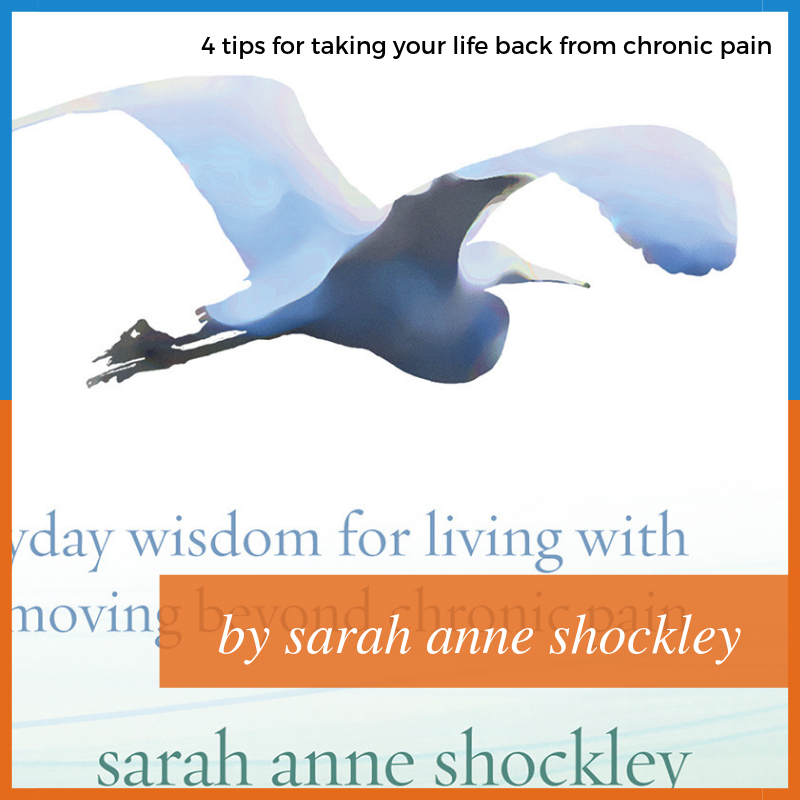 Author, producer, director Sarah Shockley knows chronic pain. She shares 4 tips she used to take her life back after pain stole it away. For many of us, living with chronic pain is like losing our place in the world. It feels like our friends, our coworkers, and sometimes even our families have moved on without us. They are proceeding with their lives while we are left behind, exiled from our own life, our dreams, and our own identities, all because of pain. These are very difficult feelings to talk about. Many of us have no one to turn to. No one who can understand. We feel guilty sometimes just for feeling the way we do. I should be grateful I’m still alive, we tell ourselves. When we live with constant, chronic pain it undermines our joy. As a result, we live with our pain in silence. We answer our doctor’s questions about what’s happening with our bodies but the information always feels incomplete. We are seldom asked about how the pain is affecting us. How does it affect the way we see ourselves and the way we feel about our lives and our world? Because pain takes up most of our energy and attention, we often put our inner lives on hold. It feels too hard to deal with anything more than the body’s immediate needs. In 2007, I contracted a very painful and debilitating condition from a work-related injury. I was in a great deal of pain, yet, as a single mom, I was the one who had to hold everything together. It was incredibly challenging, both physically and emotionally. I didn’t feel like I had any resources or energy left over to take care of myself and therefore put my emotional needs on hold for years. Until one day I woke up at the bottom of a dark well feeling like I had nothing left to draw on. Like many of us who live with chronic pain, I felt lost, invisible, and alone. I’d used up all my inner reserves and had no way to replenish them. Or so I thought. I’m not in that dark place anymore and here are 4 steps I used to pull myself through it. Following these I was able to replenish myself emotionally. For me, the first thing I needed to do was acknowledge the depth of the emotional distress. Too often, we put our attention on the medical and physical aspects of pain, leaving our inner selves out of the equation. Instead, it’s important on a regular basis to check in with ourselves and tune into our feelings. It’s not easy. We’re afraid that if we allow ourselves to know what we’re feeling, we will feel even worse. What’s true, however, is that denying our feelings doesn’t take care of them, it only pushes them underground. We must acknowledge them on an emotional level. Only then can these feelings begin to release. That’s a lot. Sometimes we can run through the gamut all in one day! Knowing that you are not alone in your feelings, and that these feelings are a normal response to the tremendous toll that living with pain takes, can bring an immense sense of relief. That acknowledgment can move you into a more balanced, healing state. We’re usually taught not to talk about our pain, not to show it, not to be a burden on others or “dwell on it”. While we certainly don’t want to wallow in pain, physical or emotional, it is unhealthy to simply never talk about or express it. Unfortunately, we are given few invitations to do so. 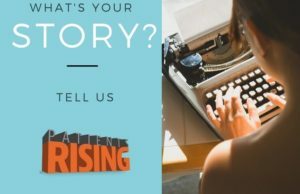 I have found writing about how pain has affected my life to be very helpful. This can be done in a private journal. Or you might want to join an online forum where others who are going through similar challenges share their problems and some of the ways they deal with them. Finding someone who is willing to be a compassionate and open-hearted ear to tell your story to is also helpful, BUT, you need to establish one important guideline: Listen only, don’t try to give advice. It’s also important to know that feelings that are not acknowledged, understood or expressed today can turn into something toxic over time. Sadness becomes victimization, fear turns into panic or terror, anger becomes bitterness and resentment. It’s important not to hang onto strong negative emotions, even when you think they’re justified. Emotions that become embedded because we refuse to let them go are not helping us heal. In fact, they can be contributing to the longevity of our overall pain, both emotional and physical. When we allow ourselves to express how we feel about being in pain through creative arts, talking to someone-understanding, communing with Nature or our God, we feel heard, we feel seen, and we are validated. When that happens, those feelings no longer have to remain hidden or stuck, undermining our energy and resourcefulness. They can flow, move, and complete themselves allowing us to be more available to life, to others, to greater possibilities for overall healing, and to ourselves. As the result of a work-related injury in the Fall of 2007, Sarah contracted Thoracic Outlet Syndrome (TOS) and has lived with debilitating nerve pain since then. 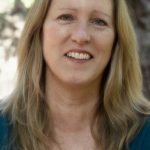 She has been a columnist for Pain News Network, and is a regular contributor to The Mighty. 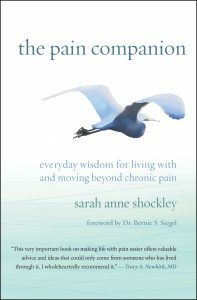 Sarah is the author of The Pain Companion: Everyday Wisdom for Living With and Moving Beyond Chronic Pain. She lives in the San Francisco Bay Area.